The man himself, Lionel Messi, dropped a sneak peak of his own custom, next generation Nemeziz 18 boots earlier today, giving a glimpse into what we can expect. 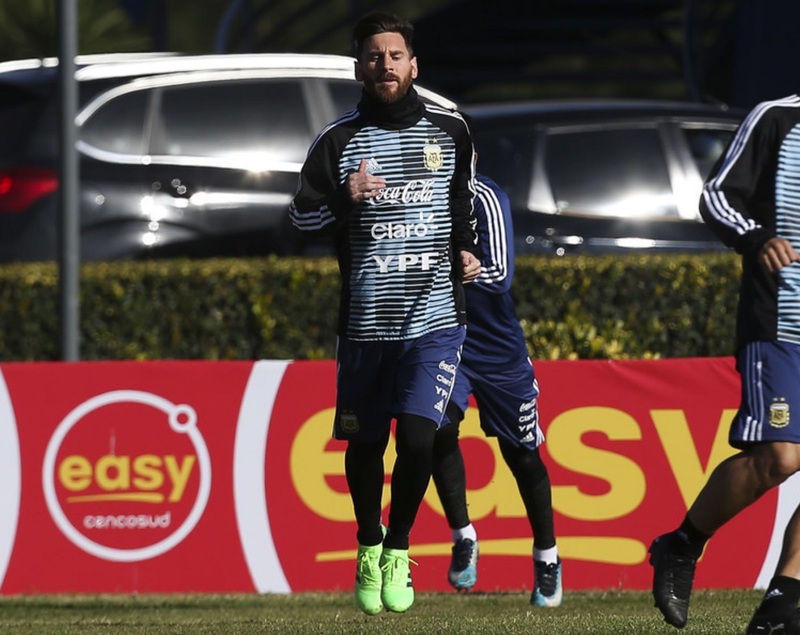 With the World Cup right around the corner, it seems like Messi is prepping his footwear, switching into the soon to be released boot that he will be wearing. 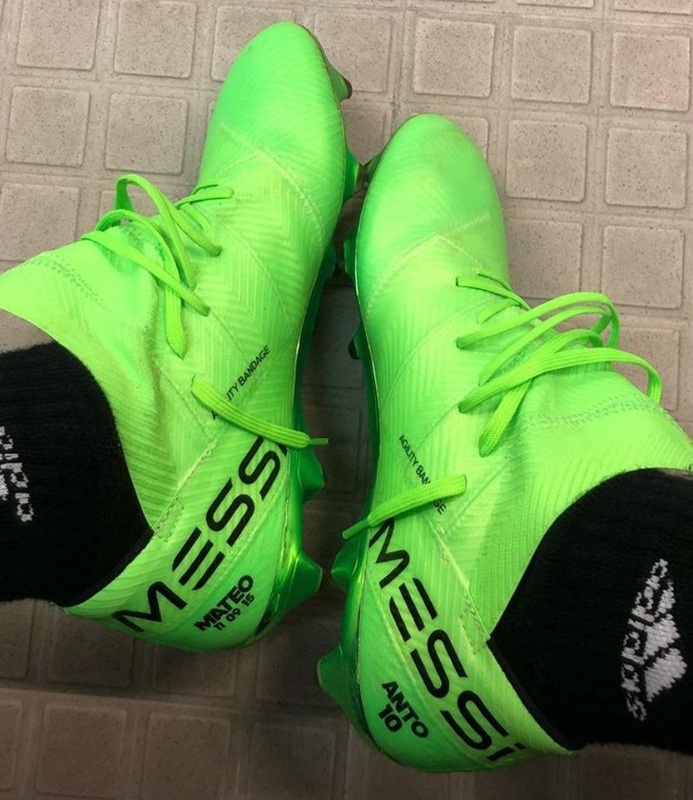 He wore them at training on Wednesday. In typical fashion, it is a laced version of the boot he is wearing, with the tongue featuring some separation on the outer side. In other words it isn’t enclosed like you see on the current Nemeziz models. Of course, when you are the best player on the planet you get boots that are exclusively customed to your taste, so I expect there will be plenty of differences between these and the retail model. We are only a matter of days away from these being released. Stay tuned for more details!